There were no new signals today. Our long EURGBP trade got open overnight. 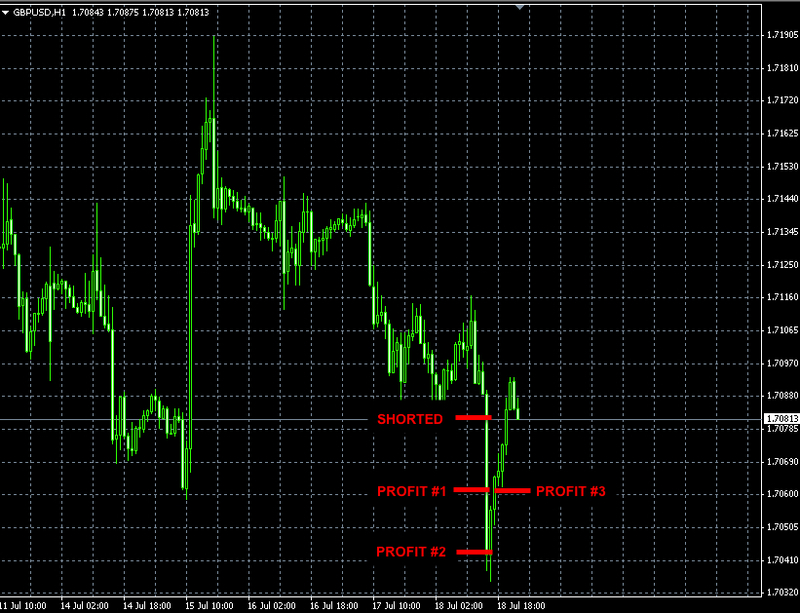 The trade did not go far and we closed it with a small profit of +12 pips. 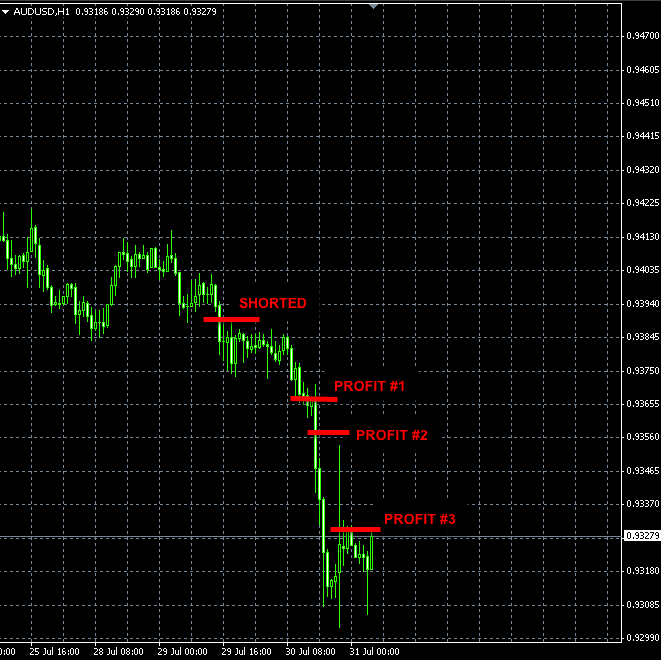 Our AUDUSD short trade brought us +108 pips profit (see the chart below). How to make $1 Trillion trading Forex within 2 years? 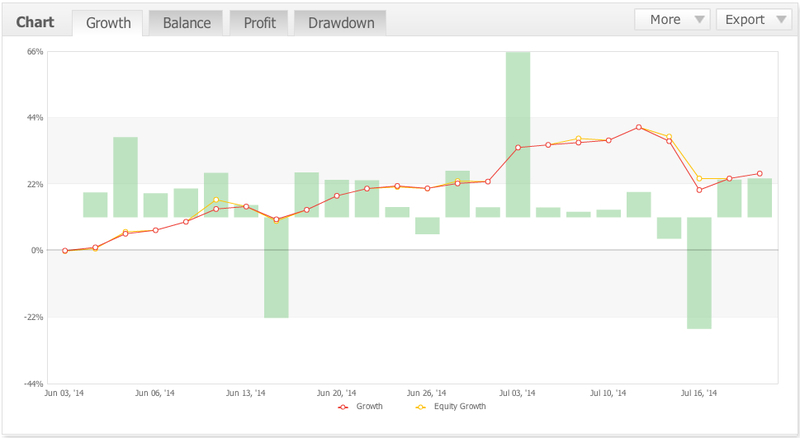 As always, everything depends on your trading system’s ROI (return on investment). By compounding a 10% annual ROI for the period of 2 years, you would need to start with $4.96 Trillions in order to make $1 Trillion. What are some tips for Forex trading? Treat it seriously and always know what you are doing and why. Our winning streak of 8 profitable weeks in a row has been interrupted this week. This week resulted in a loss of -207 pips. We issued the following signals, which were not triggered but were not cancelled either. We are going to keep these orders open until the next day. There were no signals on Tuesday and today’s signal was not triggered as the market continued moving sideways. This news trade was a real-life example of the worst price move scenario in action. Unfortunately days like this happen from time to time and one just needs to cope with the losses they bring. Right after the news release the price dropped sharply triggering short positions. As soon as our short orders got filled the price turned 180 degrees and went up triggering stops of our short orders and simultaneously opening our long positions. The up move was not far enough nor was it long enough to make any profit. The following down move forced us out of the long position. The price ended up going nowhere and we ended up losing -198 pips. The price went up first triggering our buy orders but then it reversed hitting our stop-loss orders. 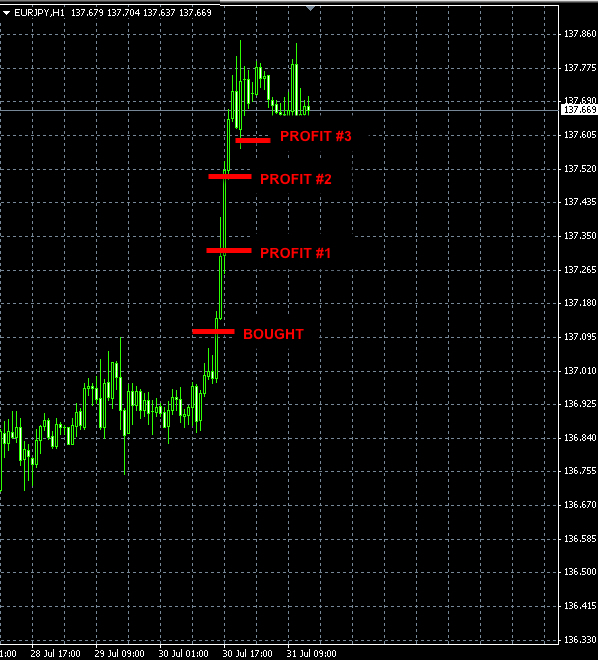 The long trade resulted in a loss of -81 pips. As soon as we got out of the long trade, we opened a short position, which did not go far and was closed at break even.